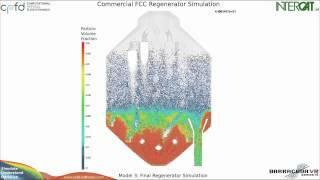 CPFD Software, LLC, Partners with CEI, Inc. to Deliver Interactive CFD Post Processing and Visualization for Virtual Reactors. 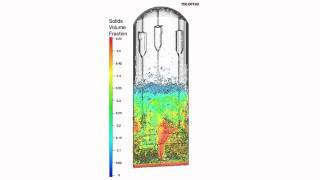 The innovative combination of unique CAE simulation software with specialized visualization technology has now enabled engineers to visualize and analyze data from computational particle-fluid dynamic simulations of commercial-scale oil refinery ‘cat crackers’, chemicals production reactors, and coal power generation units to dramatically improve these units’ efficiency, increase reliability, and even to cost-effectively reduce emissions of SOx and NOx. CPFD Software, LLC, a CAE software provider that has already transformed how the design engineering process for fluidized bed reactors is accomplished, announces today that their software partner, Computational Engineering International, Inc. (CEI), a leading provider of engineering and scientific graphics software, has released support for the CPFD Software’s flagship product, Barracuda Virtual Reactor®. CPFD Software will offer CEI’s EnSight software with Barracuda® as a software bundle. 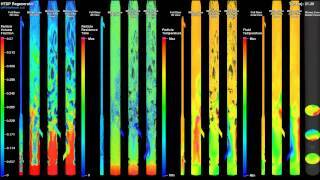 Barracuda VR® is used to accurately predict a reactor’s performance by simulating all the controlling phenomena, in 3D, for commercial-scale units using reacting particulate-solids flows. EnSight from CEI will be used to visualize and evaluate those simulation results to achieve gains at commercial operating units, as well as for the design and scale-up of new units. 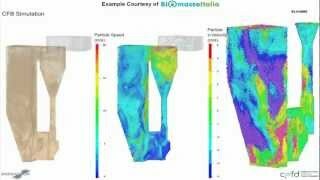 CEI’s EnSight is a powerful tool most often used for CFD, CSM and other CAE analyses. Barracuda VR’s unique technology for fluid-particles with coupled heterogeneously chemically reacting flows, combined with EnSight’s graphics, animation, and plotting capabilities heightens the understanding and interpretation of these analyses in chemical processing and other markets that require high precision in computer-based physics modeling. CEI’s EnLiten lightweight viewer application also enhances the experience by allowing an engineer’s customers and colleagues to also display, manipulate and analyze complex visualization scenarios without the complexity of using the full EnSight package. Since 1999, CEI’s product line has grown from one package for CAE post-processing, EnSight (Standard) to several derived versions, including EnSight Gold, EnSight DR, EnSight Desktop and EnSight Free. CEI now offers an entire range of versions for visualization needs, from a free version to one supporting the most advanced Virtual Reality displays. CEI has corporate headquarters in Apex, N.C., offices in Tokyo, Munich, and Pune, India and authorized distributors around the world. 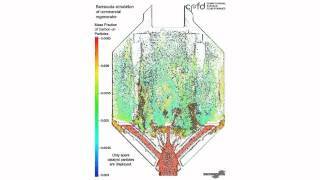 CPFD Software is the leading-edge CAE software technology provider for simulation of complex reacting particulate-solid and fluid flow phenomena with its flagship product, Barracuda Virtual Reactor. Across diverse commercial markets including crude oil refining, chemical reactors, CFB power plants and gasifiers, Barracuda VR accelerates the design and development of fluidization processes thereby increasing their productivity through virtual chemical reaction simulations. CPFD Software is a privately held company located in Albuquerque, NM. For more information please contact us at +1.505.275.3849, Email: info@cpfd-software.com Web: www.cpfd-software.com.